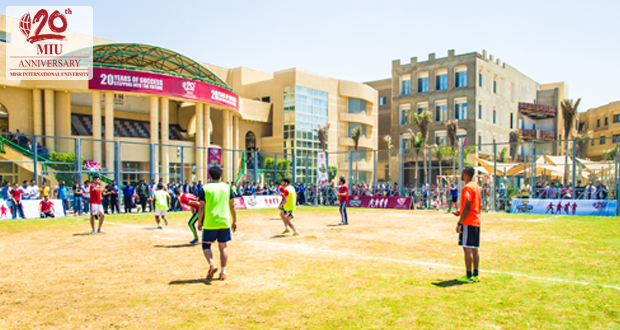 Misr International University believes that playing sports is important for fitness and education, as well as being an important hobby. MIU organized a football tournament and Captain Islam Al Shater was invited to attend the match and deliver trophies to the winning team. 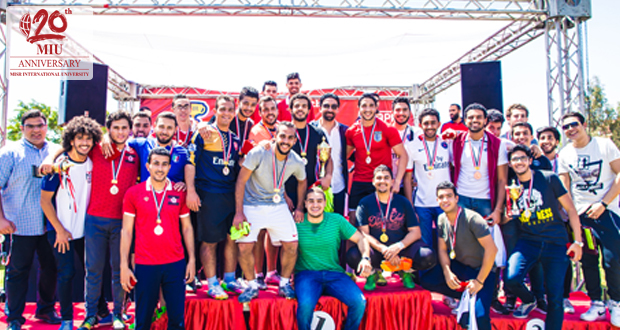 The final match was held on Monday 18th of April, 2016 at MIU’s Sport’s field. More than 150 students attended the match and supported their favorite teams. In addition, a great number of students from different sports fields were recognized by MIU.